Our VPS hosting is built on the fundamentals of speed, reliability and unparalleled customer care. Choose from our list of the latest operating systems and control panels and be online in 10 minutes! We back our VPS with 100% Management and an industry leading 100% Network Uptime Guarantee. All of our VPS servers are protected by KernelCare. KernelCare installs patches to the running server without any impact on performance. This allows you to stay up to date on all security patches to avoid disastrous incidents. KernelCare checks for new patches every four hours, and automatically applies those patches. This is all done silently and requires NO reboots or manual intervention at all. VPS stands for virtual private server. With virtualization software, physical servers can be partitioned into multiple 'virtual' servers where each virtual server looks and acts like an individual dedicated server. 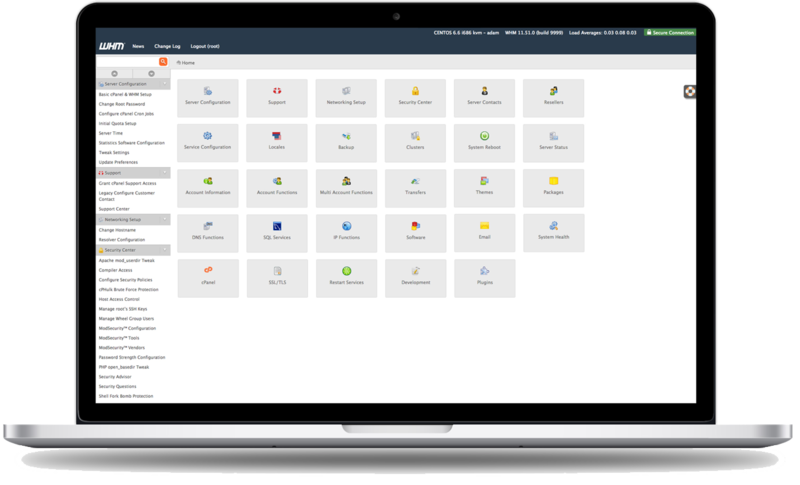 Increased Security, Improved reliability, Ease of use and Lower total cost of ownership are just a few of the many reasons to use a VPS. The main benefit is not having to share resources with several other users. Do I have to manage the vps? Each VPS is guaranteed a % of CPU and RAM, no matter what is happening on the system, you will always get this much. Since we under load our servers, this means you typically can burst to far higher amounts. Since we manage the servers from top to bottom we ensure all software is latest and stable as well as completely configured and ready for you to use. This process can take us a few hours. After you order you can contact our support for an exact ETA. Do I have to learn a new control panel? Nope! You will have cPanel and WHM just like our reseller plans, everything will be the same for you. In your client area with us you will have access to reboot, shutdown and boot your VPS as well as all the resource usage of your server. We aren't here to make a quick easy buck. We are here because we love what we do. We want to offer the best possible experience for our customers. We have spent countless hours creating an infrastructure that we are proud of. If you ever have an issue we want to hear from you and we will do everything possible to correct it. HTTPme is a premium brand, and with a premium brand you deserve the best of everything. We start with server-grade chassis and build our servers with enterprise only parts. We've been in the business quite a long time, and we can tell you that this makes a world of difference. Not only is the performance better, but the reliability increases. This means you will be on one of the most stable, high performance web platforms on The Internet.